In one hundred supermarkets across Brazil, customers found recipes printed on the back of their receipts, each for a dish prepared with the grocery items they had just purchased. But the surprise wasn't for everyone—just for those who bought a jar of Hellmann's mayonnaise. And each recipe, of course, included a serving of mayo. The clever tactic was part of a broader global marketing strategy devised by Hellmann's (a Unilever brand) in 2011 to increase the purchasing frequency of its mayo. If the brand could nudge customers from simply using its product as a condiment on sandwiches to using it as a key ingredient in home-cooked meals, it would invariably sell more. In Brazil, after the campaign's first month, Hellmann's sales increased by 44 percent at stores with recipe receipts. The strategy took different forms in different markets, though the goal remained the same: for consumers to see mayo as an everyday cooking ingredient, generating new demand by reorienting consumer behavior. In Canada, Hellmann's featured online videos of celebrity chefs cooking up new recipes using mayo, asking viewers to try them at home and vote for their favorites. In the U.S., the brand sponsored behind-the-scenes films from an upscale food festival where its mayo featured prominently in cooking preparations. In a few years time, we may think of mayo as we do cooking oil—one of those ingredient staples we can't live without. But will the same be said of nutrient-rich foods? If marketers can put more mayonnaise into more kitchens, can they do the same with micronutrient-fortified cereal, or with food supplements rich in bio-available nutrients? What role can marketing play in reorienting consumer behavior to ensure that nutrient-rich foods aren't just supplied, but demanded? What can we learn from mayonnaise? Last year, Nestlé announced it would be fortifying its flagship seasoning brand, Maggi—more than 100 million bouillon cubes are sold in West and Central Africa each day. On the one hand, Nestlé is aiming to increase the iron intake of millions of consumers with a low-cost product; on the other, the company is hoping to stoke demand for a value-add feature that gives the Maggi brand a competitive edge. (Knorr, owned by Unilever, is vying to beat out Maggi for the top spot in the region's seasoning market.) But most consumers don't yet know they should want Maggi's fortified bouillon cubes over the non-fortified options—there isn't ingrained demand. Like Hellmann's, Nestlé deployed a communications campaign that went well beyond traditional mass media tactics like television spots and billboards. Its experiential marketing included a road tour through Cameroon, Côte d'Ivoire, Ghana and Nigeria: 'Cooking Caravans,' featuring interactive cooking demonstrations and forums on the benefits of micronutrient fortification, drew crowds by the thousands. In Nigeria alone, the caravans directly reached more than 50,000 people. Consumers walked away from the events with educational pocket cards and informational pamphlets on cooking with healthy, fresh ingredients—all sponsored by Maggi. That marketing digs deep into cultural orientations, altering how consumers perceive the importance of micronutrients (like shifting how we perceive the versatility of mayonnaise). We use brands as trusted sources to which we look for behavioral guidance. So Maggi is doing what Hellmann's did: forming resonant connections with consumers, cueing them on what to demand. 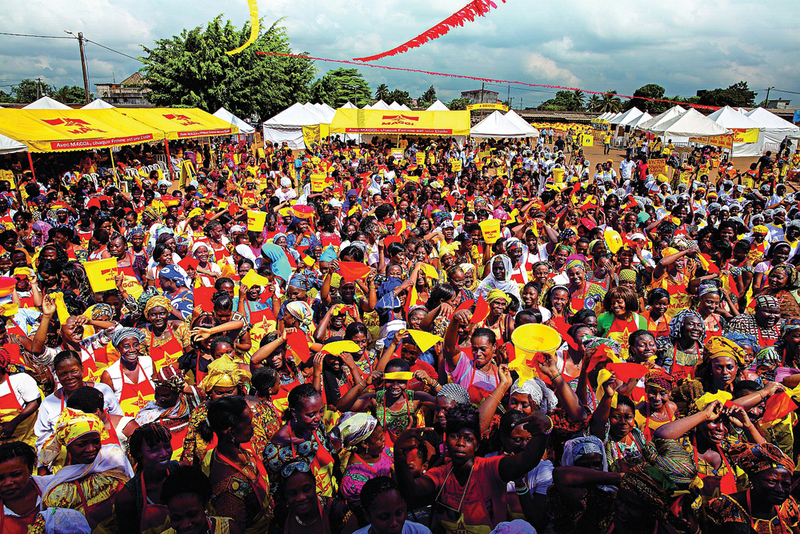 According to Maarten Garaets, Maggi's executive manager for Central and West Africa, "The Cooking Caravan is our channel to connect with our consumers face-to-face. We hope it will reinforce the idea that Maggi is a brand they can trust." Building a stronger nutrient economy will require not just supplying more nutrient rich foods, but also re-orienting consumer behavior to cultivate new demand. Resilient ecosystems, smarter agriculture, advanced production, and so on, will all ensure that more nutrient-rich foods enter the marketplace. But once they're there, then what? Will they be in demand? How can we deploy the power of marketing acumen in service of a stronger nutrient economy? Exploring answers to those questions will be an essential component of the nutritional challenge. Fortified bouillon cubes won't sell themselves.